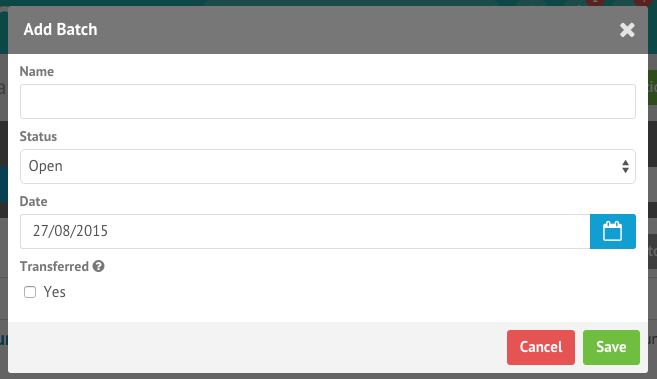 To add a new batch, go to the Admin Area of your account and navigate to Financial in the Main menu. When the page loads click on the ‘Add Batch’ button. This will open a new window allowing you to enter details for the new batch. Once a batch has been created, you’ll see an empty batch. 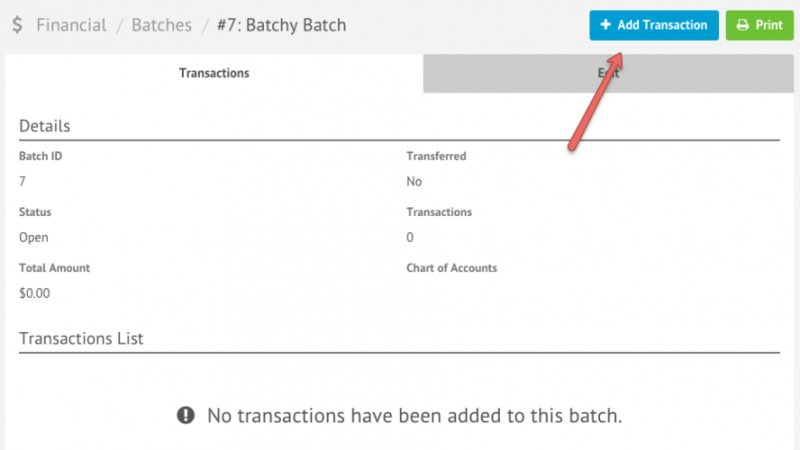 Click the ‘Add Transaction’ button to add transactions to your batch.